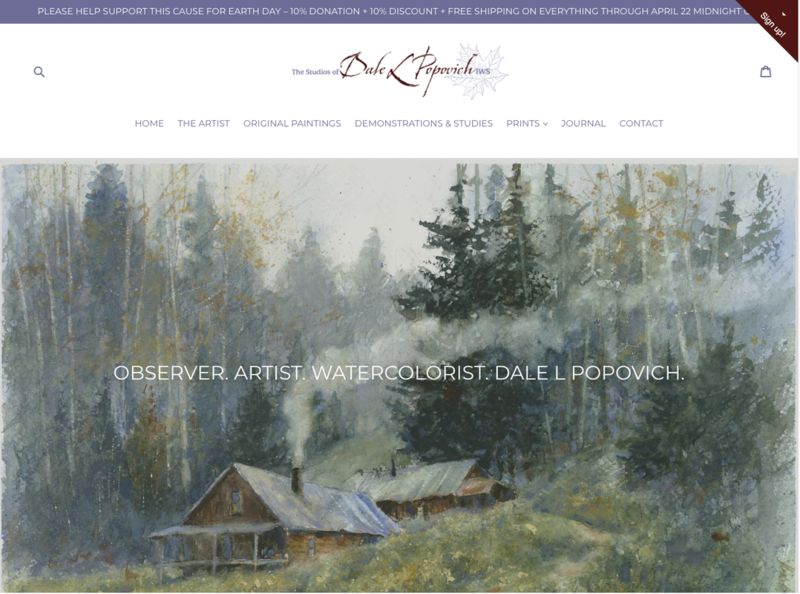 Join Dale Popovich for a transparent watercolor journey "Into the Woods." ​Learn various techniques painting color impressions of the untamed land. MORNING: 10:00 am. - 12:00pm. Techniques and elements of nature will be employed during the afternoon paint along. In the afternoon students will be provided with a reference photo. 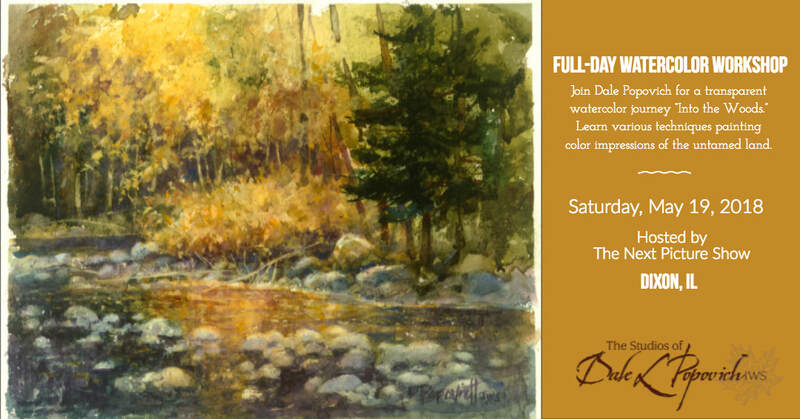 This portion of the workshop will consist of a step-by-step painting where Dale will paint the first phase of the watercolor and students will recreate what was demonstrated. Dale will then demo the second phase of the painting, sharing tips and techniques. Students will then paint the second phase. Dale will demo the final phase and students normally are able to complete their rendering of the painting in the allowed time. Dale will provide personal instruction, as needed, while students are painting. His final demonstration will be given away to one lucky person in the group. Photo for the paint along will be supplied. Arches natural white 300# cold press watercolor block: approx. 12"x 14"